Rules have been issued that affect our team websites usage of FIRST® references. Create TM trademark symbols in HTML with & #0153; (ampersand-no space, pound sign, 0153, semi-colon). Create circled C copyright symbols in HTML with & #0169; (ampersand-no space, pound sign, 0169, semi-colon). Create circled R registered trademark symbols in HTML with & #0174; (ampersand-no space, pound sign, 0174, semi-colon). The current sites are linked. To see the original winning sites use the Internet Archive's Wayback Machine. Purpose-what do you want to accomplish? How will your site be used? A website should have something of value to offer visitors: current information, a team-centric gathering place, personal interest blog, multimedia, articles, stories. Lay out a flowchart of your site map. How many pages and for what purpose, on what topics? What links to what? Sketch it all out. Plan on changing your mind and on future growth. How much time do you plan to devote to maintaining, upgrading, adding content? Forums, blogs, and wiki�s require a LOT of effort to maintain. Include a contact email link. Stress subtle effects rather than distracting ones. Avoid too active pages. Use to be everyone put motion gifs everywhere. Motion attracts the eye and if the whole is in motion people won�t know where to look. Mockup your design and get several other web-savvy people to critic it. Optimize for speed-small compressed graphics, common shared graphics that don�t have to be re-downloaded, slim your HTML down. Clarity- be direct and to the point in your writing. Be consistent in where buttons are placed, how links are displayed. Don�t overcrowd the page, preserve lots of whitespace so the users eye goes automatically to what�s important. Visitors will read short words and simple sentences, but skip over large blocks of words. Keep your paragraphs short, maybe a couple of sentences. Keep content current. Update your pages regularly. Whether they are your teammates, community, or other FIRST teams, make people want to come back often to see what�s new. Check and fix or remove broken links, especially, to outside sites that can change with no notice. Periodically take a figurative step back and take a critical look at your own work. Does it still fit your plan or have you aimlessly wandered and muddied the waters? FRC no longer has a website award, but the old judging guidelines give a good idea of what was considered important in a website. How well does the site explain FIRST and promote its vision? Is there a prominent link to the FIRST website on the website home page? Does the site use correct FIRST terminology and contain the updated FIRST logo? Does the website clearly tell the team story and contain the team name, FIRST program team number and physical location of the team? Does the website contain updated information dealing with the current season? Does the website include recognition of sponsors, mentors and volunteers? Does the website include helpful resources for other FIRST teams? Does the website contain helpful non-text content such as music, sound, animation , or video? Is this site dedicated exclusively to a FIRST team and its activities? Does this site follow copyright infringement rules correctly? Does the website communicate a visual experience reflective of the identity of the team? Is the site engaging and does it encourage exploration? Does the fort size and format make the site easy to read? Does the website contain visuals relating to the current game and the current season�s work as a team? Is the home page inviting to all readers, or is it cluttered with team member specific information? Does the website work well and the homepage load quickly? Do the links work throughout the site? Is important information easily accessible? Do external links open new, separate browser windows? Can I easily return to the website from an outside link? 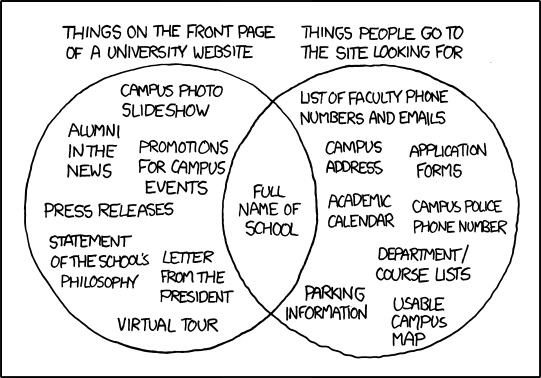 Make your website useful to yourselves first. If it's useful, then team members will have an interest in keeping it up to date and adding more stuff. Add enough content that you find useful and others will find it useful as well. Websites grow steadily if they're worth something. Content management tools are handy, try to settle on a tool that will last your team awhile. Something general and easy enough for other people to use without a technical background. Usually it�s good to separate the website organization from the content organization. Websites get updates, tools change, but content goes on. Be aware that some things can take an enormous time commitment. Open forums and wiki's are always subjected to massive spamming that takes a lot of time to monitor and keep cleaned up. You may be dedicated to start, but how will you feel about it in two years or how will others dead when you graduate? Plan for secession - how will your website fair on it�s own for awhile when the inevitable neglect comes along as build season ramps up, students graduate and leave, admin passwords get misplaced, website gets corrupted, the domain isn�t renewed and expires. What�s your backup plan! It shouldn�t depend on one person the loss of whom might lose you the whole website. Involve as many people as possible in the production of content. It brings a diversity of ideas, greatly increases valuable content by taking full advantage of sporadic or one-time authors. Consider assigning a content hound who pesters groups for a one page whitepaper: spirit ideas, team organization, technical topics, fundraiser reviews. Author - topic experts: mechanical, electrical, programming, pneumatic, leadership, budget & finance, etc. IT administrator - manage and monitor the technical aspects of the website: html, php, css, sql, java script, backup, etc. Check visitor statistics to see what interests people, what�s getting used, what you might expand, what isn�t important and what content can probably be archived.